If the thought of scones for breakfast sounds fancy to you, you'll really be impressed with these Meyer lemon scones with lavender Devonshire cream. Whether serving a crowd or just your family, they are great for breakfast, brunch and any other time you want a special treat! Homemade scones for breakfast are pretty fantastic. That is, if they are made correctly. See, scones can be a bit tricky. You don't want them to be too dry, nor do you want them to be too moist. It's all about finding that perfect spot in the middle. 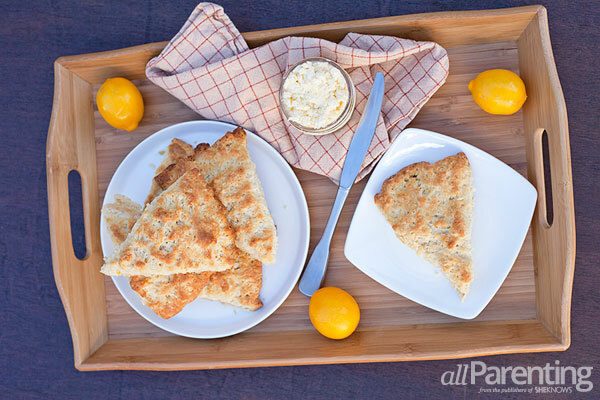 And we do believe we found that spot with these Meyer lemon scones. Top them with a bit of lavender Devonshire cream and you have your new favorite treat when you're in the mood for a cup of tea. One little note before you get started on making your Meyer lemon scones... The lavender Devonshire cream takes over an hour to make because the lavender and cream need time to infuse. We suggest getting this started before making the scones, or even the night before if possible. Combine flour, sugar, baking powder, salt and zest from 2 Meyer lemons in a medium mixing bowl and stir. Cut in the cold butter using 2 butter knives or a pastry blender until the mixture resembles coarse crumbs. Add Meyer lemon juice, heavy cream and milk and stir until combined. Form the dough into a ball and transfer to a floured surface. Knead the dough gently until it is no longer sticky, adding more flour as needed. Pat the dough into a 9-inch round circle and transfer to the parchment-lined baking sheet. Cut the circle 4 times using a pizza cutter to get 8 wedges (it can also be cut down smaller to get 16 wedges if you'd like smaller scones). Bake for 30 to 35 minutes, or until golden brown on the outside and the center of the scones is thoroughly cooked. Let cool for a few minutes before serving. 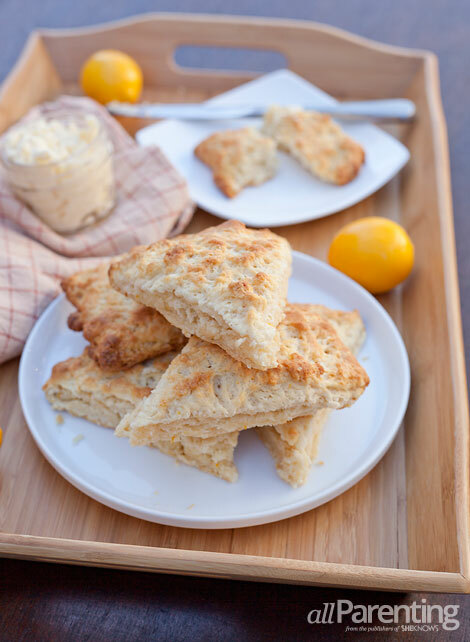 Enjoy your Meyer lemon scones with the following recipe for lavender Devonshire cream or butter and your favorite cup of tea! Combine heavy cream and dried lavender in a small saucepan over medium heat. Bring to a boil, reduce heat to low and simmer for 10 minutes. Stir frequently to prevent the cream from scorching. After 10 minutes, pour the lavender cream into a small bowl, cover and place in the refrigerator to cool for 1 hour. After the lavender cream has infused for an hour, strain the lavender from the mixture and discard the dried lavender. Add the mascarpone cheese and 1 tablespoon of sugar to the cream. Using a hand mixer, beat the cream and mascarpone mixture until it looks like soft whipped cream. Taste, add more sugar if needed and beat quickly to combine. Be careful not to over beat the cream or it will turn into butter (if this happens, it's OK — it will still taste great on your scones). Use the lavender Devonshire cream right away or cover and store in the fridge until ready to use.